26 Dates Disasters.. 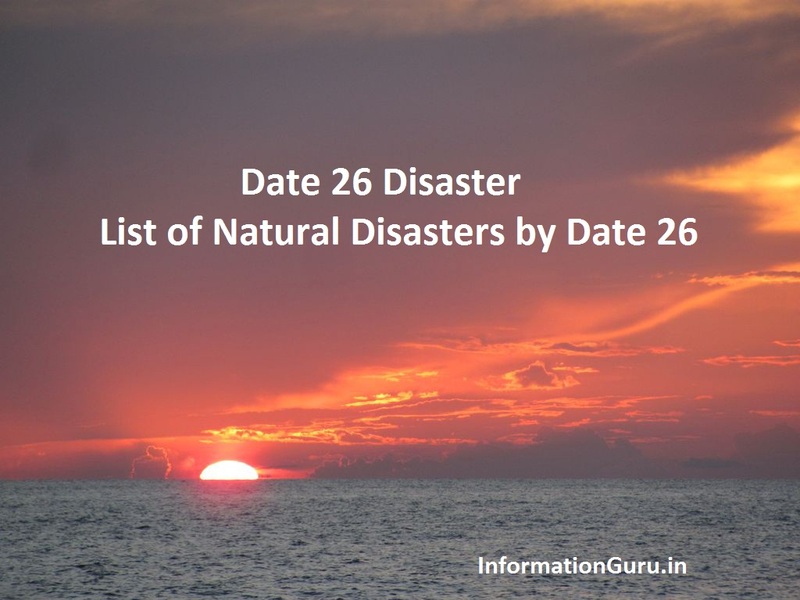 Here is the full Information on List of Natural Disasters by Date 26..
37. October 26, 2010 Merapi erupted. 26 March 2015 - India Lost the Semi-final Cricket Match Against Australia. Only 59 disasters over a span of 485 years? There are 5761 more 26th days in that span which are disaster-free. Now can you call that a coincidence? Please stop this sort of deliberately foolish gossip! this is not gossip..these are facts..please read a Bible to see it..